Give your kids some hands-on science experience with this fun experiment. 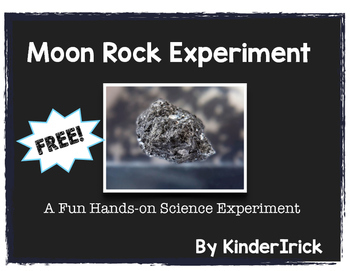 Kids will turn a "Moon Rock" from a liquid to a solid and record their observations as they conduct the experiment. Directions are included to make the "Moon Rocks" along with a simple recording sheet that is appropriate for primary grades.